The Museum of Art in Fort Lauderdale featuring the kaleidoscopic mural "Acid Free" that covers the west and north side of the building resembling rainbows, fractals or topographic maps, by Miami-based Jen Stark. "Soprano soars at Museum of Art Fort Lauderdale. No, it was not the Met. It was the modest stage of the Horvitz Auditorium in Fort Lauderdale – but it was clear to hear from her intimate concert there last night how soprano Leona Mitchell could have held sway for 18 consecutive seasons from the grand stage of that renowned New York opera house. Mitchell, the Met’s leading spinto-soprano beginning with her 1975 debut in Carmen, performed as part of Venetian Arts Society’s Up Close and Personal series at the Museum of Art in Fort Lauderdale, which featured last night’s salon concert and reception with a master class and conversation with the artist Friday morning (2/21) at 10 a.m. The dramatic mastery of her still-soaring voice – especially a rapturous vibrato in the higher registers – shone brightest in the selection of arias sung in various languages, but she also enchanted with spirituals and standards like 'Summertime,' the mere introduction of which elicited 'aahs' from the highly appreciative audience. Another crowd-pleaser was her interpretation of the habanera from Bizet’s Carmen. Because she played the role of Micaela, this most familiar of arias was never hers to sing at the Met; but she makes up for it beautifully now in her many recitals. 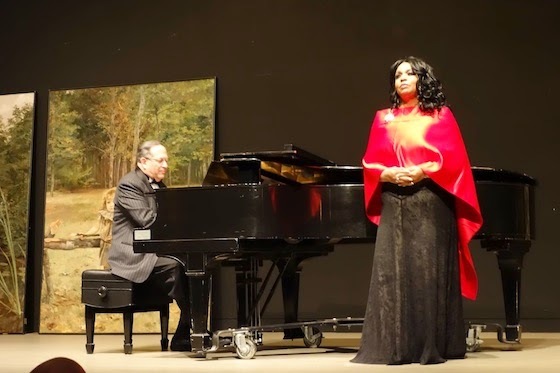 Wearing her signature red wrap, the soprano was accompanied exuberantly on piano by Dr. Robert Sharon of Palm Beach Atlantic University. 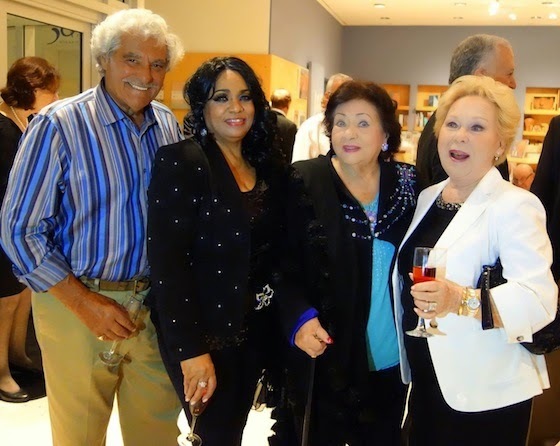 The evening was graced by the attendance of three of opera’s superstars: stage director Tito Capobianco, and Legendary Prima Donnas Virginia Zeani and Renata Scotto." [Source] In addition to the selections mentioned, the evening's program included arias from Tosca, La Forza del Destino, Die Tote Stadt, Rusalka, Otello; songs by Rodrigo and Duparc; and spirituals.